This all-new animated series from Warner Bros. 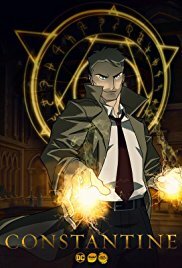 Animation and Blue Ribbon Content follows DC’s popular comic book character John Constantine (voiced by the live action series star Matt Ryan), a seasoned demon hunter and master of the occult. The world’s smartest dog and his boy host a zany late-night comedy show from a swanky penthouse, with time-traveling historical figures and a live audience. Based on the extraordinary true story of Alec Jeffreys’ discovery of DNA fingerprinting and its first use by Detective Chief Superintendent David Baker in catching a double murderer.